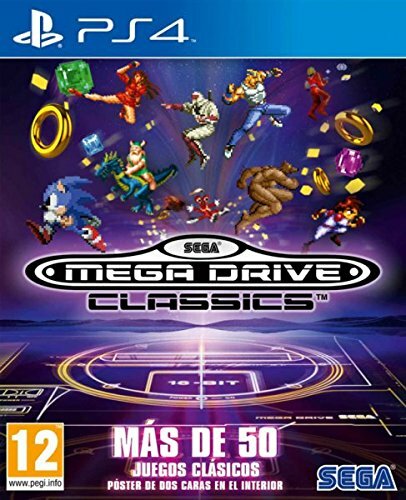 SEGA MegaDrive Classics incluye: – El juego SEGA MegaDrive Classics para PS4. – P?ster a dos caras. 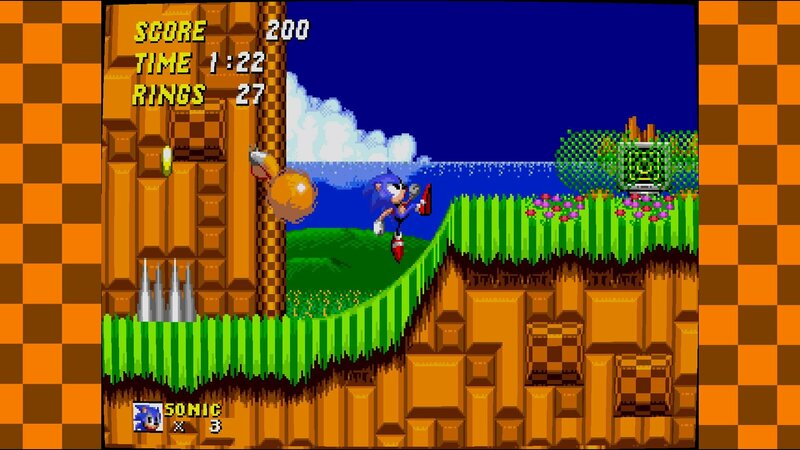 La colecci?n de SEGA en Mega Drive y Genesis Classics llega a una nueva generaci?n de consolas y de jugadores. 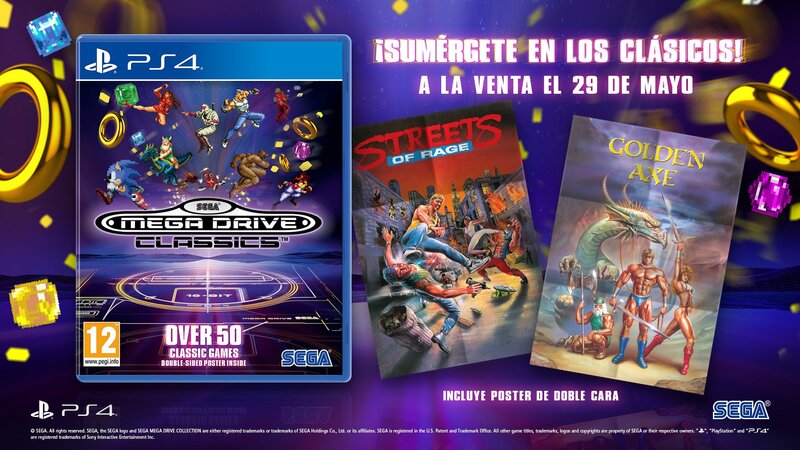 M?s de 50 t?tulos que abarcan todos los g?neros, desde cl?sicos como el Sonic y Streets of Rage 2 hasta grandes RPGs como Phantasy Star series. Tienes de todo: arcade , shooters o puzles. Caracter?sticas: – Guarda la partida en cualquier momento. – Rebobina cuando tengas alg?n contratiempo. – Personaliza tus controles. – La mayor colecci?n de cl?sicos retros en un solo pack. 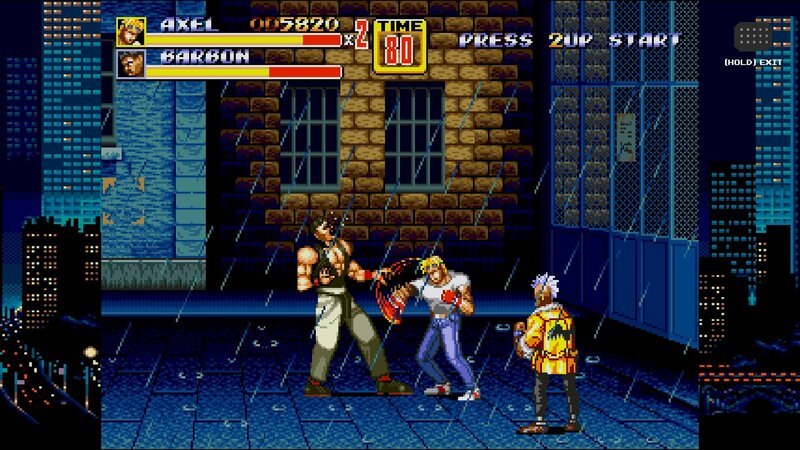 – Incluye p?ster de doble cara: Streets of Rage y Golden Axe. Juegos Incluidos Alex Kidd in the Enchanted Castle, Alien Soldier, Alien Storm, Altered Beast, Beyond Oasis, Bio-Hazard Battle, Bonanza Bros, Columns, Columns III: Revenge of Columns, Comix Zone, Crack Down, Decap Attack, Dr.Robotnik?s Mean Bean Machine, Dynamite Headdy, ESWAT: City Under Siege, Fatal Labyrinth, Flicky, Gain Ground, Galaxy Force II, Golden Axe, Golden Axe II, Golden Axe III, Gunstar Heroes, Kid Chameleon, Landstalker, Light Crusader, Phantasy Star II, Phantasy Star III: Generations of Doom, Phantasy Star IV: The End of the Millennium, Ristar, Shadow Dancer: The Secret of Shinobi, Shining Force, Shining Force II, Shining in the Darkness, Shinobi III: Return of the Ninja Master, Sonic 3D Blast, Sonic Spinball, Sonic tje Hedgehog, Sonic the Hedgehog2, Space Harrier II Streets of Rage, Streets of Rage 2, Streets of Rage 3, Super Thunder Blade, Sword of Vermilion, The Revenge of Shinobi, ToeJam & Earl in Panic on Funkotron, ToeJam & Earl, Vectorman 2, Virtua Fighter 2, Wonder Boy III: Monster Lair, Wonder Boy in Monster World.